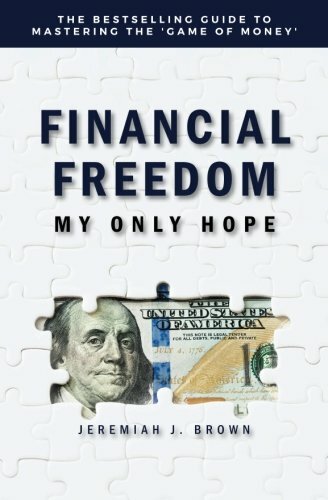 Many people work hard all their lives scrimping and saving in order to achieve the American dream of financial freedom. The unfortunate reality, however, is that success is fleeting, and debt, loss, and corruption are all too common. Whether unemployed, underemployed, or still trying to climb the corporate ladder, we’re all plagued by money worries—unless we’re in the 1 percent. The truth is that we’re all players in the “game of money.” Only those who know how to watch the game, identify the levels, and bend the rules can gain the upper hand. In this easy-to-follow guide, you’ll discover how the economic deck is stacked and how to use proven strategies to turn the game in your favor. You’ll need to review the basic structure of banks and the overall financial system before progressing to formulas that will bolster your personal finances. Many believe finding their revenue niche is the answer. It’s not! This text exposes that myth and reveals the multiple streams of income—ordinary, portfolio, and passive—necessary for economic mobility. Learn how to take on new business ventures like an entrepreneur and protect your assets like a multimillionaire. Master the game, and finally achieve long-lasting wealth! If you have any questions about this product by BA Publishing, contact us by completing and submitting the form below. If you are looking for a specif part number, please include it with your message.